After a short general business meeting (from 1:00 PM to 2:00 PM), there will be a lecture by Dave Morrison from 2:00 PM to 3:00 PM. 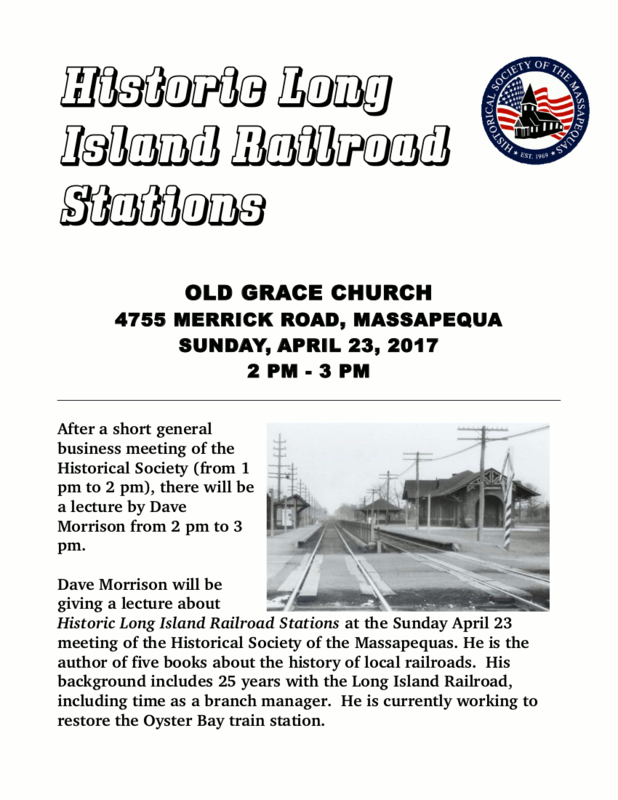 Dave Morrison will be giving a lecture about Historic Long Island Railroad Stations at the Sunday April 23 meeting of the Historical Society of the Massapequas. He is the author of five books about the history of local railroads. His background includes 25 years with the Long Island Railroad, including time as a branch manager. He is currently working to restore the Oyster Bay train station.